1. 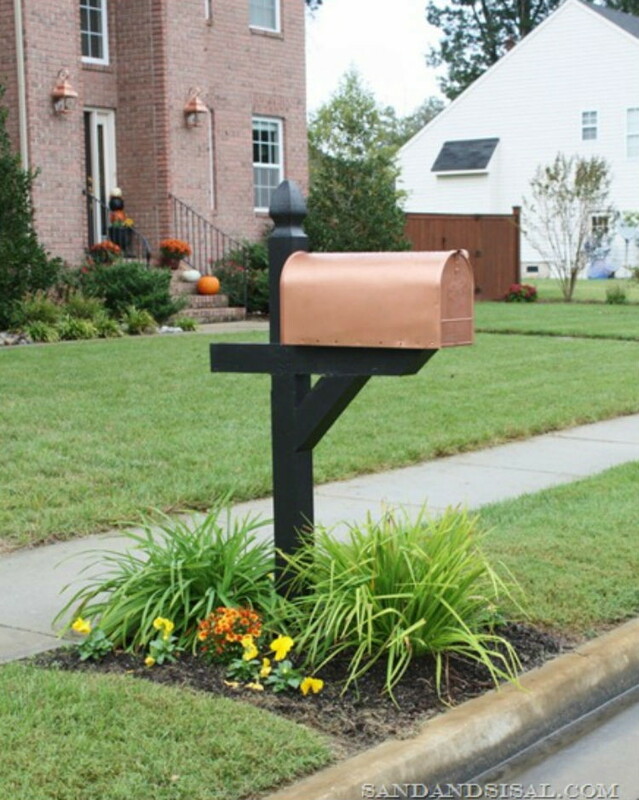 Give your mailbox an upscale copper look for less than $5. Rust-Oleum makes a metallic copper spray for $4.15 which you can find on Amazon. Add in some black paint for the post, plant some colorful flowers, and you’ve just enhanced your curb appeal greatly for under $20. 2. Upgrade your address number. A new house number in a different font can add a lot of charm and uniqueness. 3. Paint your front door. All it takes is a gallon of paint for about $25 to make a big difference and have your house stand out. 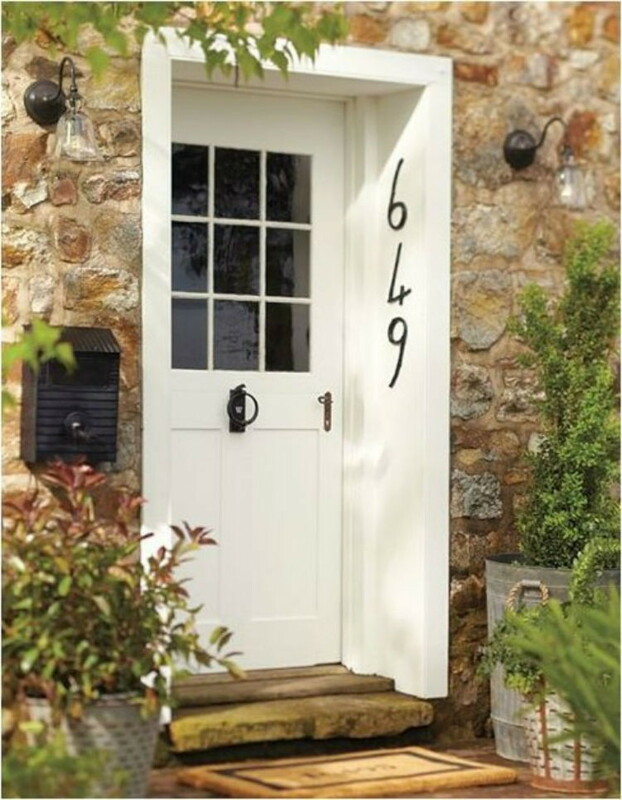 Follow these instructions on the proper way to paint a door for a smooth finish. 4. 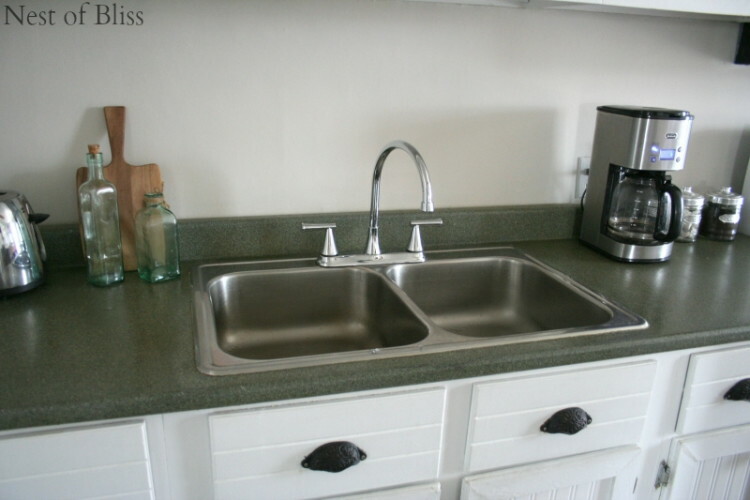 Spray paint your countertop a faux granite. Installing new countertops can get pricey. Even countertop painting kits can be expensive. Spray paint is a fast, cheap, and easy alternative. Amazon sells cans of textured spray paint for about $8. 5. 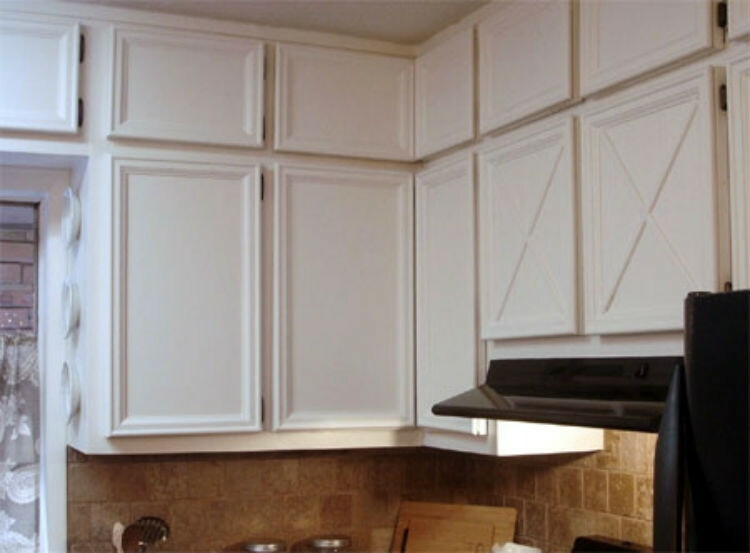 Add molding and trim to cabinet doors. Here’s an upgrade that can be done in a day or a weekend, depending on the size of your project. These easy instructions will get you a new-looking kitchen at a fraction of the cost. 6. 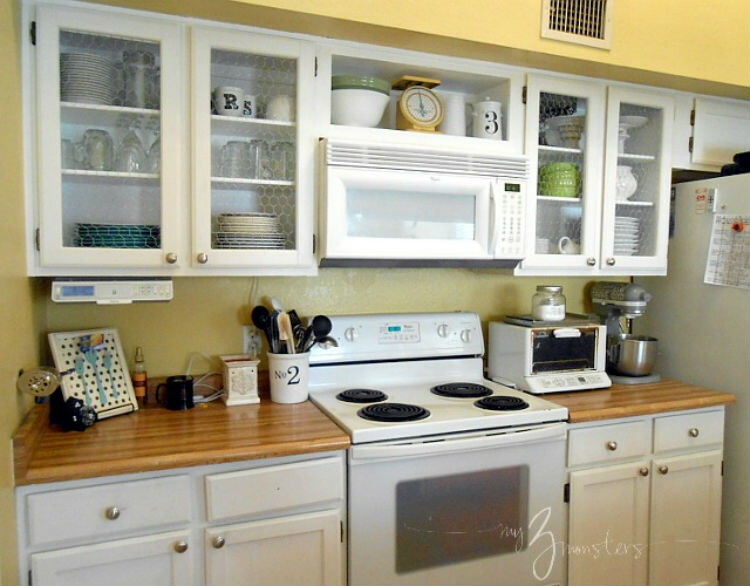 Or, replace the cabinet doors with chicken wire. We found a roll of galvanized steel poultry netting at Home Depot for just under $21. 7. 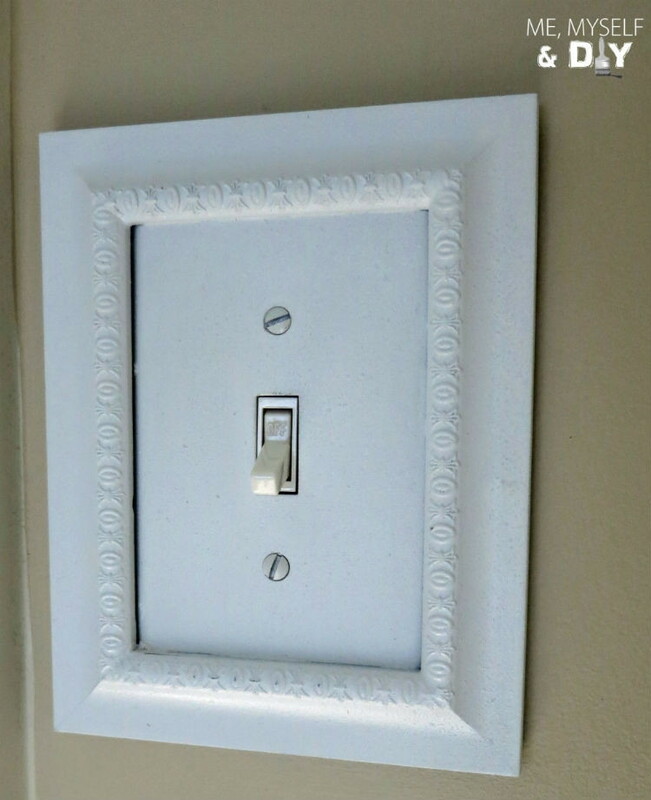 Frame switch plate covers with Dollar Tree picture frames. This one move can really change the look of a room. First, remove the plate and attach the frame to the plastic plate cover with super glue. Then, spray paint everything before attaching it back onto the switch. Since finding the right size can be hard, bring the switch plate with you to the store so you can avoid a lot of returns. 8. Hang a mirror across from a window. Not only will this increase light, but it will make the room appear bigger. 9. Frost a window with cornstarch and lace. 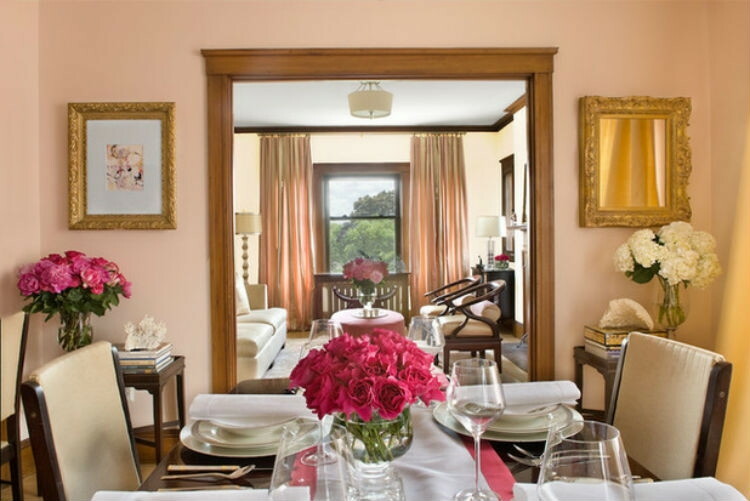 Bring some privacy and style to a room while spending very little money. You’ll need 1/4 cup cornstarch for the adhesive, water, and a thin decorative fabric like lace to get started on this project. 10. 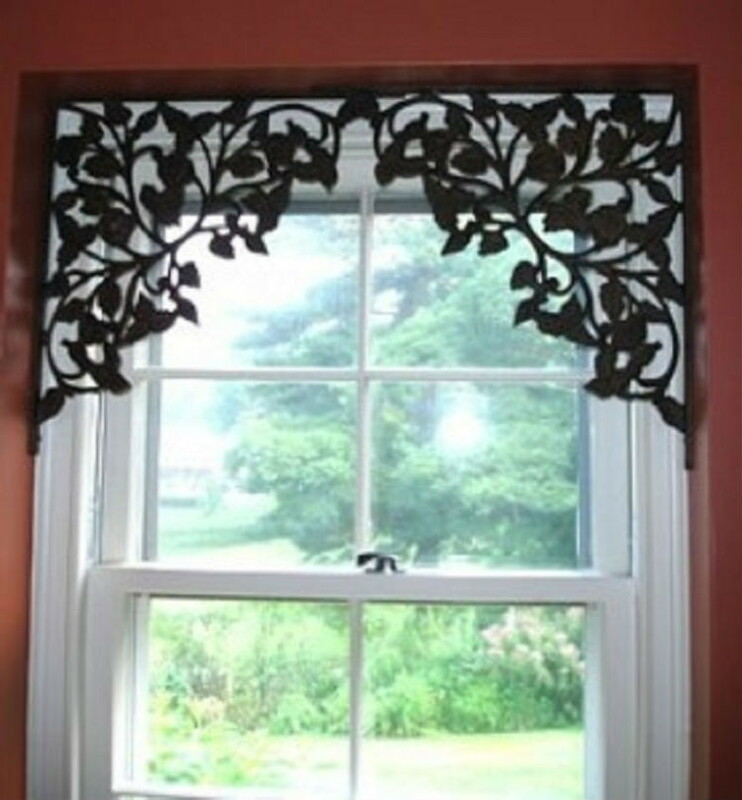 Add metal shelf brackets to windows that don’t need curtains. We found Pennsylvania Dutch cast iron shelf brackets from Signature Hardware for under $8 apiece. 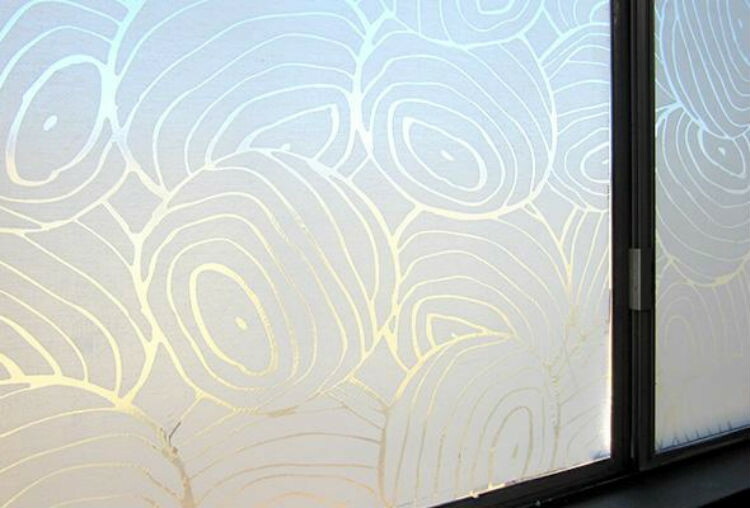 All you need is painter’s tape for a pattern like the one above, and some floor paint. A gallon of Rust-Oleum floor paint will run you around $16. 12. 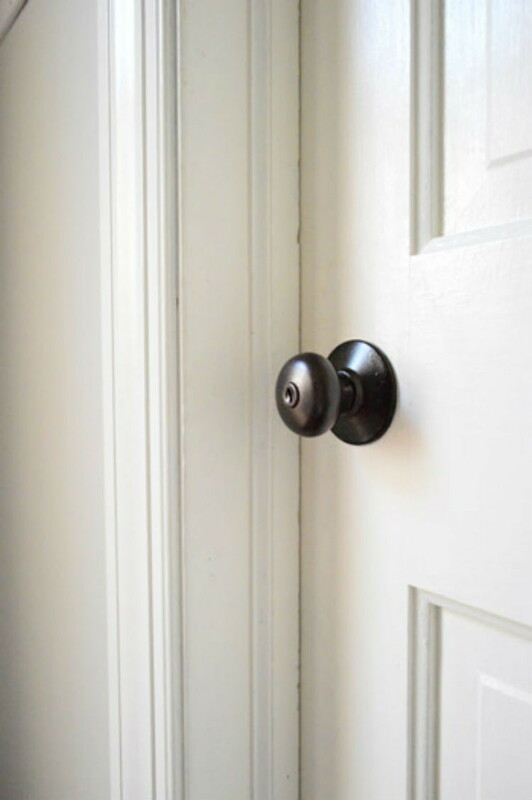 Upgrade old brass door knobs with spray paint. First, you’ll need to remove each knob and keep the parts together. Use high grit sandpaper followed by a liquid deglosser. This tutorial used a Universal All-Surface Spray Paint from Rust-Oleum. The results are fresh and new-looking knobs for under $6. 13. 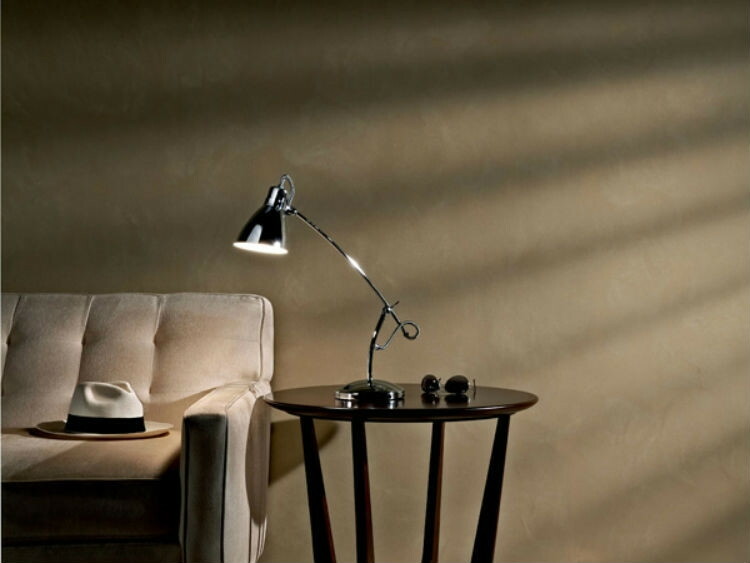 Give a wall an elegant suede look. Apply paint by rolling with a 1/2-inch-nap roller followed by rolling the length of the wall from floor to ceiling before the first coat dries. These instructions have you using a wide brush in overlapping X motions to give it a variety of color tones. 14. 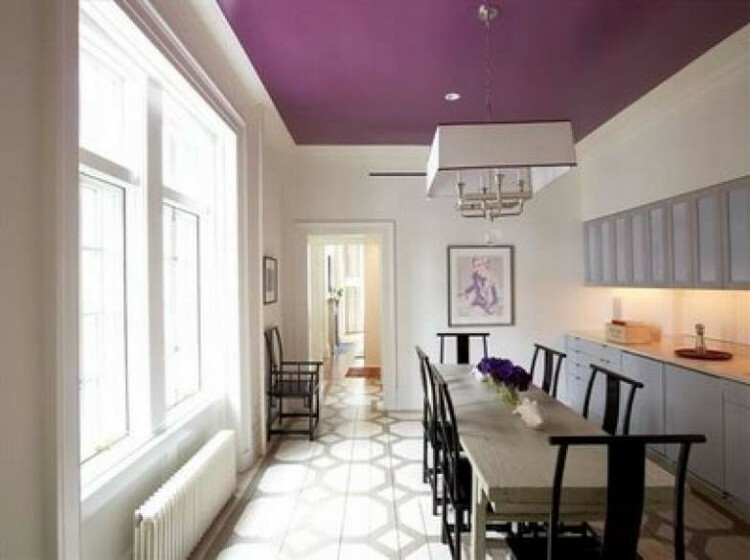 Or, paint your ceiling a dramatic color. A painted ceiling can improve a room’s ambience, but if you’re a newcomer to all this, it’s best to start out with a monochromatic color. Follow these tips for ceiling colors, what to look for, and what to avoid. 15. Enhance a room with overstuffed pillows. When you make the right pillow choices, it can make a room pop with elegance and comfort. Large and overstuffed pillows create a plush look. Try and avoid the standard 12 to 18 inches for a throw pillow, and aim for larger ones in the 22-inch range. 16. Put plants everywhere for an instant upgrade. Feature them inside your home–everywhere. Upgrade to nice ceramic pots, too. 17. Spray paint your vents. 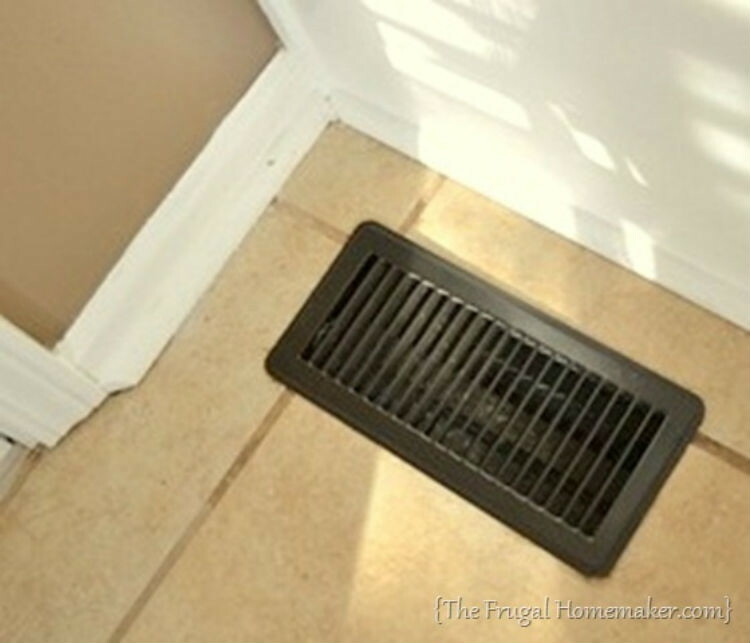 This will make your vents look brand new. First clean off the dust and grime, and while you’re at it, vacuum out all the vents, too. 18. 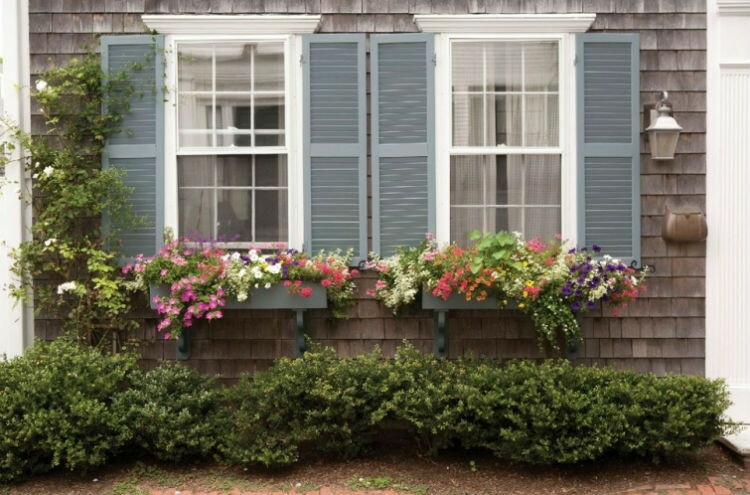 Add window boxes to the front of your house. 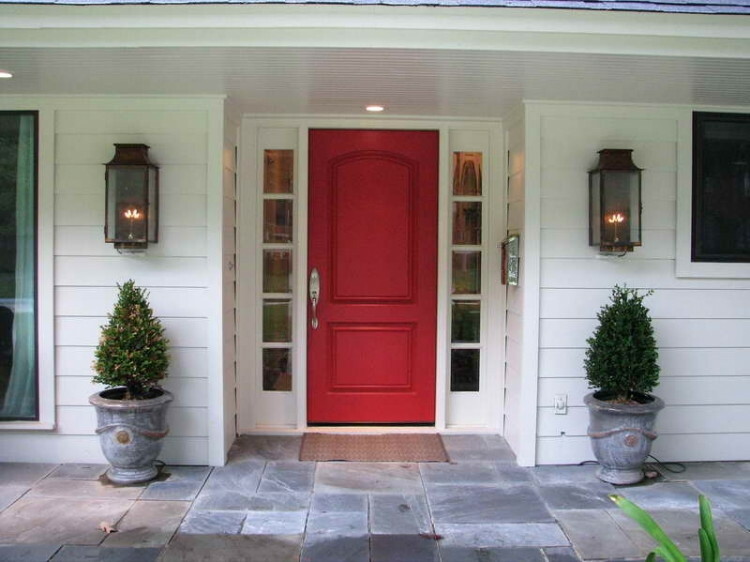 This is another way to upgrade your home’s curb appeal at an inexpensive price. Home Depot sells boxes made from heartwood for under $20 apiece. 19. 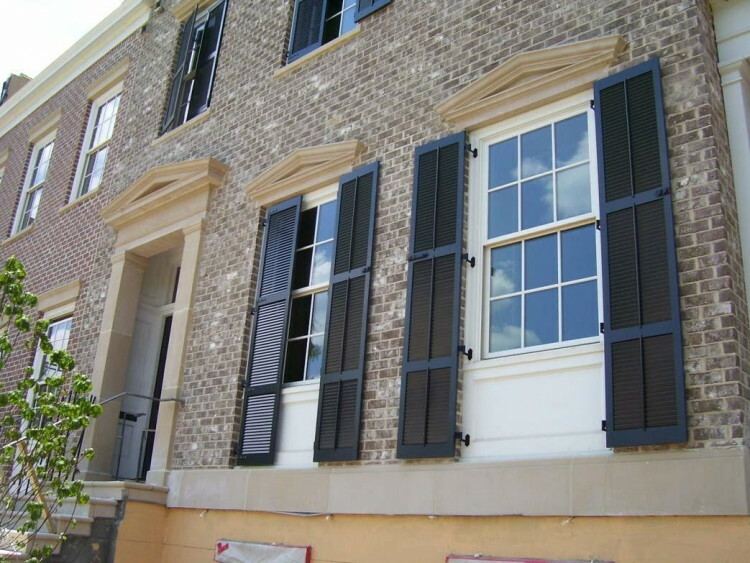 Install decorative shutters around your windows. 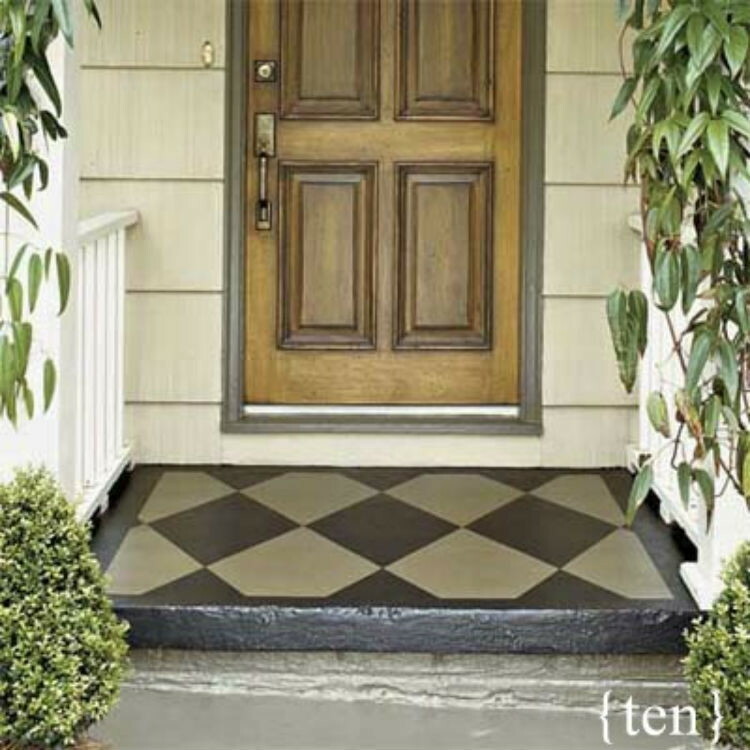 Faux is the way to go when you want to update the front of your home without breaking the bank. Architectural Depot sells a pair of faux wood shutters for under $25. 20. Install an expensive looking door knocker. 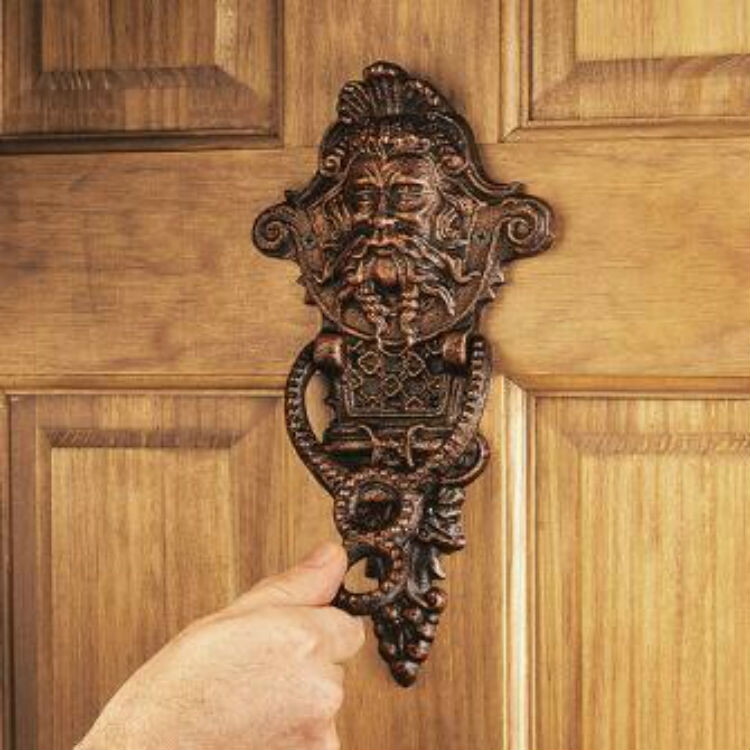 What looks like a pricey door knocker could cost you less than $20, like this one from Design Toscano.